Floral & Fauna is a community, and I would be nothing without my friends who have given me so much support. Once someone becomes a "staff" member, They will be featured here! 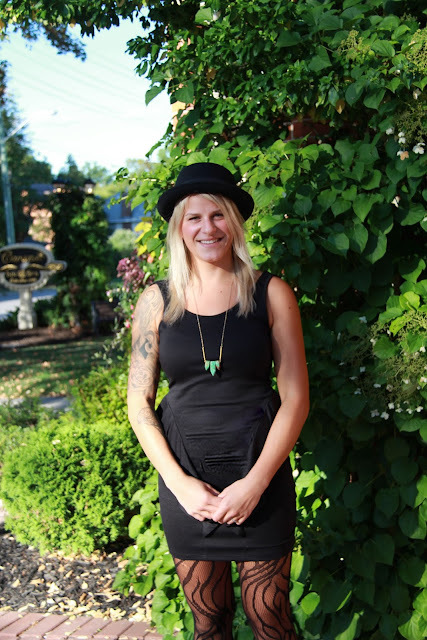 Lucy is a Hairstylist at Cavana Inn and Spa in Orillia, Ontario. She has been doing my hair for over a year and I just absolutely love her! Lucy has been kind enough to help out with hair for my photo shoots when I'm in town! 80's rock and roll fashion, Cyndi Lauper! my zebra print low rise converse sneakers! Megan White is an incredibly beautiful and wonderful person I've known for the bigger part of my life. A great friend, Megan is always willing to model for me and is up for new things! She's a dancer and also makes great youtube videos. My favourite piece of clothing that I own is actually the skirt from that shoot! I love that it's a maxi skirt but the top layer is sheer and the skirt underneath is actually cut off mid-thigh! Other than that, I will always pick shoes. I'm obsessed, and absolutely addicted to my Steve Madden combat boots in brown. Amazing.